Russia along with all the delegations of NATO partner states will have to cut the number of their representatives in the military alliance to 30, according to a NATO official. Moscow has demanded the organization explains the reasoning behind the move. "I can confirm that NATO has decided to introduce a guideline limiting the number of staff in partner delegations to 30. 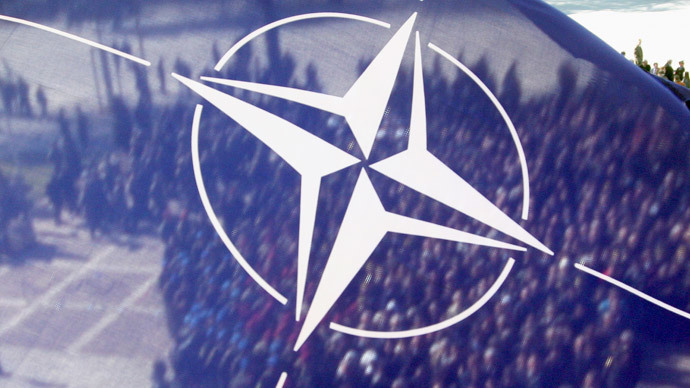 These guidelines apply to all partners," a NATO official told RIA Novosti on Friday. The official added that the partner states will have the chance to decide for themselves, which staff members to suspend from their missions. NATO gave the 41 partners states, nine months to comply with the order, according to the source. Russia is expecting NATO to clarify the decision to reduce its delegation, according to Russia’s permanent representative to trans-Atlantic organization, Aleksandr Grushko. “We expect further explanations from the drafters of the document,” he said. “NATO should detail how these recommendations comply with the basic Russia-NATO agreements, including the Founding Act and the Rome Declaration, as well as how they relate with the statements of the alliance that NATO is interested in maintaining political dialogue and military contacts with the Russian side,” he said in a statement on Friday. Meanwhile, Russia’s Deputy Foreign Minister Aleksey Meshkov, said this “odd decision” reminded him of those taken during the Cold War. An earlier report in the New York Times claimed that NATO was capping the Russian delegation from the current number of over 50 staff members to 30. In addition, the report said that NATO’s decision was based on the assessment that Moscow’s delegation includes spies. The report cited unnamed Western officials, who said that NATO’s move followed a tip-off by the alliance’s Civilian Intelligence Committee that intelligence agents had been part of Russia’s delegation. Moscow also lashed out against NATO and the US on Friday – for “attempts to come up” with new grounds for its missile shield in Europe amid progress in talks on Iran’s nuclear program. "We see that in fact while progress in regard to Iran’s nuclear program is being made, Washington and Brussels try to invent new grounds for their missile defense program," the Russian Foreign Ministry said in a statement on Friday. "This once again confirms that the references to the ‘Iranian threat’ in this case are just a cover, while the true goal of creating the anti-missile program is completely different," the statement reads. The ministry recalled US President Barack Obama’s statement made in Prague in April 2009, when he said that "if the Iranian threat is eliminated, we will have a stronger basis for security, and the driving force for missile defense construction in Europe will be removed." A framework for the agreement concerning Iran’s nuclear program was reached on April 2 in Lausanne, Switzerland. Officials from the US and NATO have said that the deal gives no grounds to change any plans for the deployment of the missile shield in Europe, the ministry’s statement added. Therefore, NATO’s claims that the missile defense shield in Europe is not directed against Russia “look less convincing,” the ministry added. On Friday, Russian Deputy Foreign Minister Sergey Ryabkov also voiced concern over NATO’s plans to hold joint "nuclear missions" saying that such a move contradicts the Treaty on the Non-Proliferation of Nuclear Weapons (NPT). "We see that the US and NATO countries infrastructure is really expanding, especially in our western direction, and we note that the practice of joint drills between the US and other NATO countries as part of holding the so-called nuclear missions remains," he said. "In our opinion, this contradicts the commitments undertaken by the countries that are part of the alliance on the NPT."